Glitter wallpaper conjures up the image of a pretty princess room but you can work glitter into your home décor regardless of your age. If you do decide to use it in the master bedroom or perhaps a living room or dining room, we recommend you keep it simple with designs that boast a subtle shimmer. The Julien MacDonald range features some dazzling designs that are the perfect blend of glamour and luxury without going overboard. We love how the designer’s catwalk designs are adorned with crystals and diamonds and how they transfer on to his wallpaper with his flamboyant and shimmer covered prints. So whether you prefer statement stripes or calming tones of lilac or silver, there is a design in his collection for you. 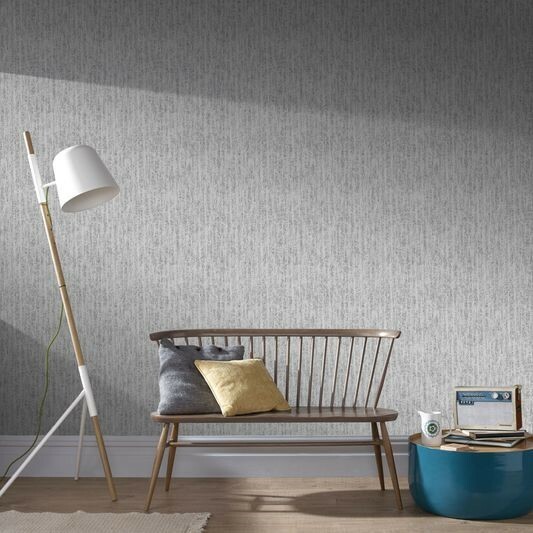 When it comes to glitter wallpaper, silver is one of the most versatile shades. Not only is it timeless and classy, it is versatile, lending itself to every room in the house. Our Shimmer Silver wallpaper is a superb option for those experimenting with glitter designs for the first time and would look just as beautiful in a bedroom as it would in a dining room. 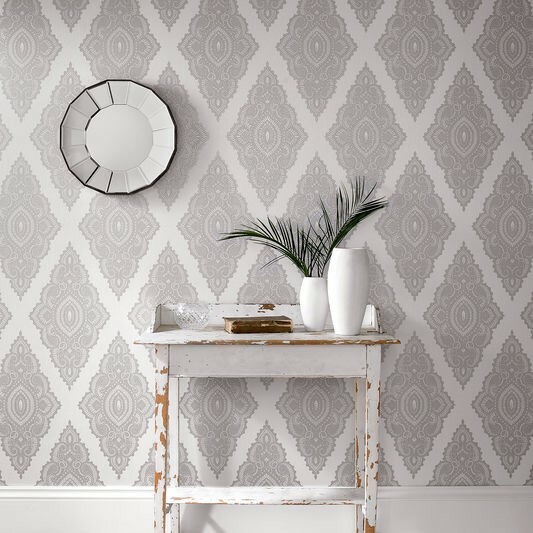 For something neutral but with a slightly more dramatic shimmer, try our Devore Silver wallpaper. The distressed texture makes this design truly unique while still being stylish and luxurious. For something more dramatic still, the Jewel and Pearl silver wallpaper is bound to make an impact. A powerful print really catches the eye so if you want to amp up the glam, pairing a bold pattern with a sprinkling of shimmer is a winning combination. One of our most popular patterns is the Honolulu Palm Green wallpaper. The tropical trend is still going strong and if you don’t want to commit to four walls, this design would make a stunning feature wall. We love the bold green palm tree print and the metallic embellishments. 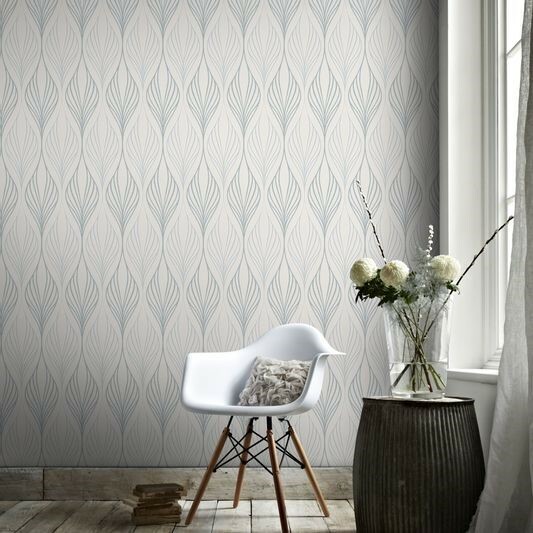 If you love palm prints but you prefer to opt for a softer look, the La Palma Lilac wallpaper is sublime. Geometric designs are a bold addition to any home and this Optimum White and Duck Egg design will inject personality into any room.